HomeUncategorized I’m Stressed Out about My Stress Load!! I think you nailed it when you stated that much of our stress comes from “I don’t want to do or feel whatever it is that I’m doing or feeling.” Prayer helps, especially, the Serenity prayer, but it takes willpower and lots of practice to change the thoughts that are dragging me down and the same goes for whatever I’m doing or not doing that’s dragging me down. 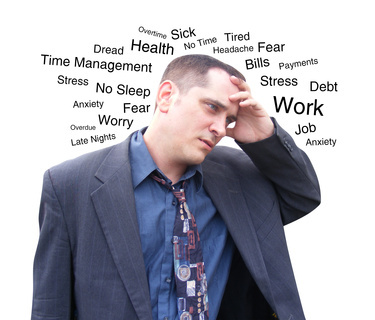 Finally, a short and practical way of viewing and dealing with stress…what a great article!! Great words of wisdom. Thank you for posting. Thanks for taking the time to post your comment! I’m so glad my blog entry was helpful. I plan to continue writing similarly themed postings so please check in from time to time. Thanks again, Melanie! Barbara J. Some clear basic details that can get lost in fancy terminology and jargon-so its good to hear it in simple English. However, some stress can be motivating and healthy to get us moving, achieve goals and make reasonable changes to our lives-lets not cheat ourselves of knowing about both sides. Super good point! It’s true that we be able to discern between good, healthy stress and the kind that needlessly robs us of our peace of mind. Thank you for your comment! Barbara J.
Fіrst of all I ωоuld liκe to say great blog! you center уourself and clеaг your thoughts bеfore ωriting. gеttіng my іdeаs out thеre. lost simply just trying to figure οut how tο begin. Any recommendationѕ or tips? Kudoѕ! group where I can get advice from other knowledgeable people that share the same interest.